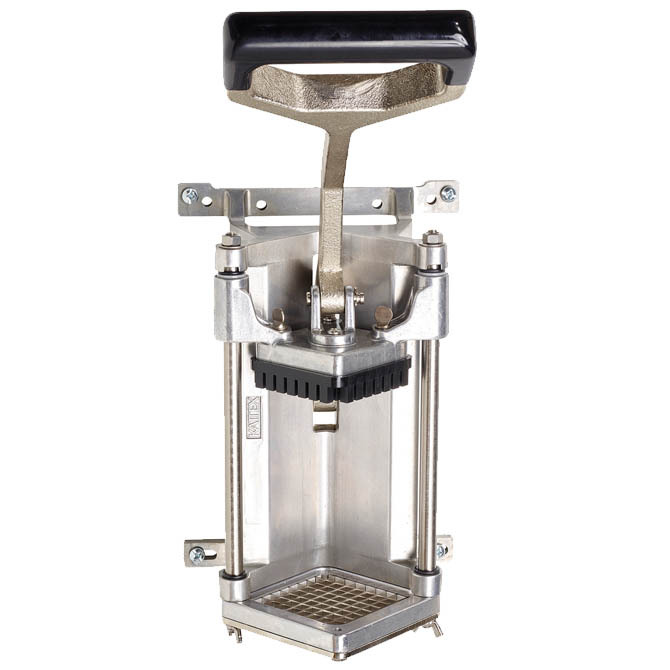 Heavy duty commercial French Fry Cutter made to last with extremely durable cast iron body and stainless steel components. A lot like the more expensive American made fry cutters. Smoothly and swiftly cuts potatoes into french fries. 3/8 or 1/4 inch cut. 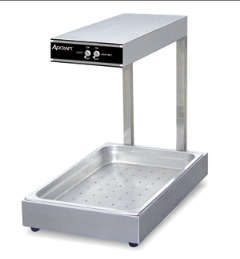 Unit can be mounted to the counter or wall. A short throw handle smoothly and swiftly cuts potatoes into french fries. Available with 3/8 inch cut or 1/4 inch cut push block. Additional accessories to modify cut sizes and styles are also available. Bracket for easy wall removal is sold separately.